We offer a huge gamut of Nylon Rollers with greater load bearing capacities. 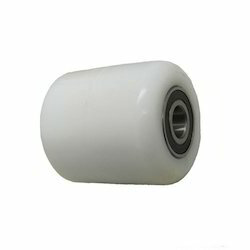 Their precision sealed swivel and wheel bearings guarantee these rollers to be maintenance free. These Nylon rollers are used in pallets. 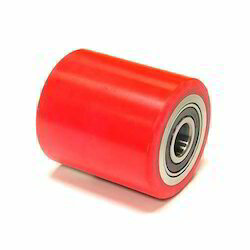 Available in 6204 ball bearing. PU Rollers are used in pallets and we manufacture them under strict quality specification. In most of the applications, at a reduced speed, these rollers have an even higher carrying capacity. Looking for Fabricated Rollers ?